Today I received a call from an agent from another agency that is teaming up with me to help sell a ranch that needs to be marketed toward the commercial market. I met with her last week and we toured the property and now have it listed on several commercial sites. We are working together to creatively sell this property. As we were visiting in the car we of course began discussing other properties that we had on the market. I told her about a fantastic 100 acre ranch up in New Waverly and she immediately said she thought one of her clients would be interested in this property! Today the phone rang and she was excited to tell me that they were interested in seeing the property today. Therefore, off we all go today to tour this fantastic ranch! Sometimes it takes thinking outside of our box and reaching out to other agents to get things moving! We all need to work together because it works! 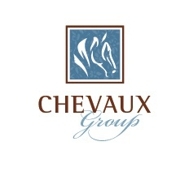 Chevaux Group is your go-to real estate company to get the job done. We will assist you with all of your real estate needs. Residential, farm and ranch or commercial! Give us a call today!